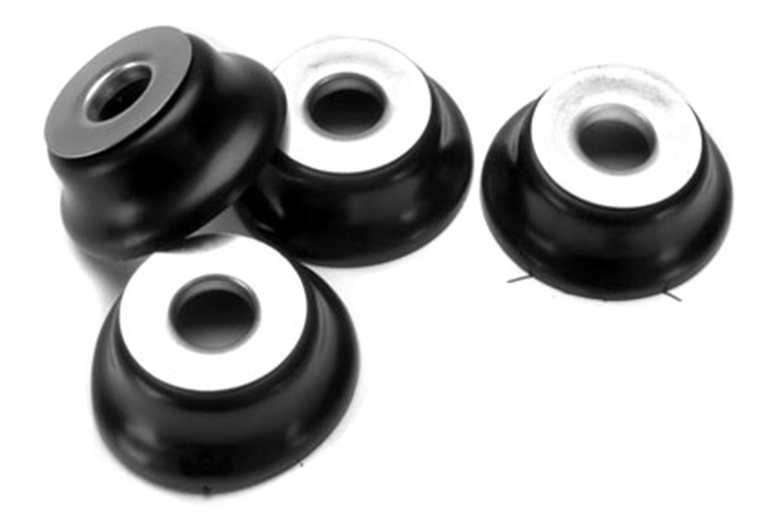 These are brand new rubber escutcheons as used in Scout 80 & 800, and all A, B, and C-series Travelalls and pickups. These are made of soft pliable rubber as original, and come with a cadmium-plated steel wear plate for the crank handle to rub against. These original IH parts serve two functions: they make the doors more pleasing to the eye, and they also act as weather seals by keeping drafts and road dust out. This is especially critical in dry dusty conditions, or in extremely hot or cold weather. These help make your truck much more comfortable and enjoyable to drive! Also fits Graham sports cars. Each vehicle will require two of these per door. these are getting scarce so get some while you can! Sold individually.